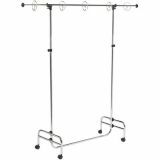 Teachers will love this new adjustable stand. The stand will adjust from 48" high to 78" high and from 42Wide to 77Wide. 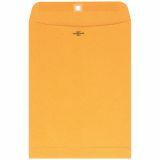 Use it for multiple pocket charts and chart tablets or extra wide pocket charts. It comes with locking casters and 5 movable rings. A great addition to any teacher's classroom. 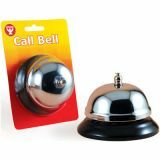 Perfect for helping little ears to listen! Get students/ attention during work times or transitions. Give a signal before making an announcement or giving directions. Remind students that time is up. Your classroom isn't complete without it. This general purpose handheld calculator features an 8-digit display (16-digit approximations), independent memory, profit margin %, square root key, +/-, %, and super solar function for continuous use." 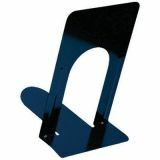 Charles Leonard Bookends, 5" Height, Black"
Heavy gauge steel maximum support with reinforcing ribbing. Smooth coined edges on both inner and outer arcs provide extra safety. Non-skid poly base prevents slipping and scratching. Black. Set of 2 bookends. 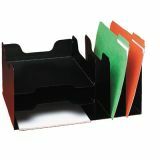 Charles Leonard Bookends, 9" Height, Black"
Heavyweight brown kraft stock offers added security and confidentiality. 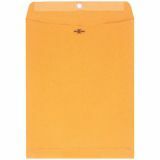 Open-ended and reusable clasp for mailing and storing documents. 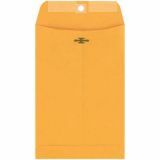 Ideal for mailing brochures and catalogs. 28 lb. 100 count. 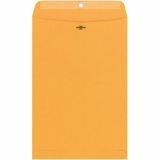 Classic Desk Combo - Letter Size - 15 3/4" x 10 3/4" x 7 1/4"
Combination vertical separator and horizontal file. 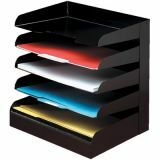 Letter-size unit comes with 5 vertical compartments, legal with 3. Black." 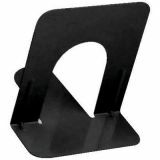 Classic Horizontal Desk Tray - Five Tier - Legal Size - 15" x 9 1/2" x 12"
Heavy gauge steel. Five levels. Black. 15W x 12D x 8 1/2H.